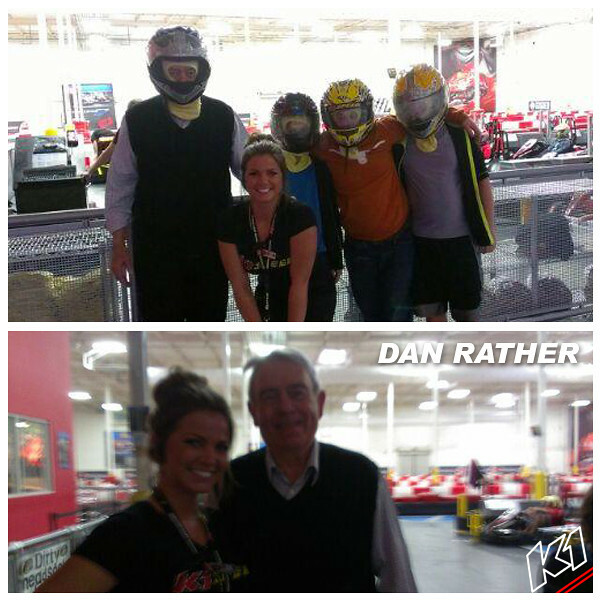 Dan Rather at K1 Speed! American journalist and the former news anchor for the CBS Evening News and 60 Minutes correspondent, Dan Rather, visited K1 Speed Austin Saturday morning. He is now managing editor and anchor of the television news magazine Dan Rather Reports on the cable channel AXS TV. Dan Rather is pictured here with his family and K1 staff member. Read more about Dan’s story here.